Pawn 1st address, phone, website, hours of operation, and more. At Pawn1st Pawn & Title Loan Centers our mission is to offer our customers innovative solutions and provide them with superior customer service at the greatest possible value. We strive to provide unparalleled service to our customers through teamwork, cooperation, thorough knowledge of the products and services we offer, and a commitment to excellence in everything we do. 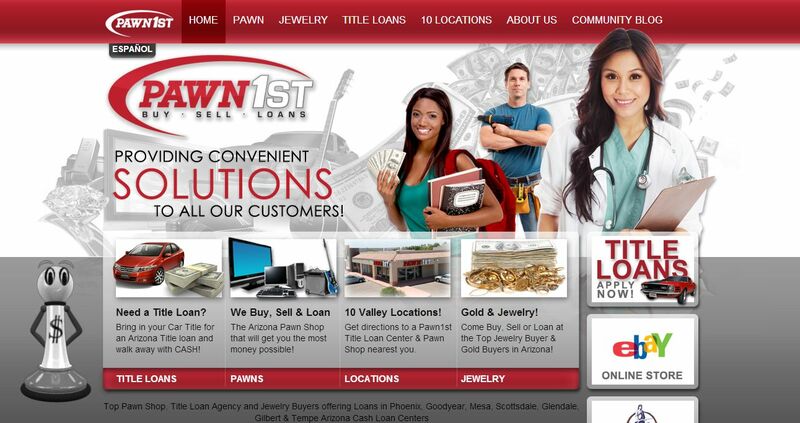 We also seek to change the perception of the Pawn and Title Loan Industries by creating a professional and inviting retail atmosphere at all of our Arizona locations. Our customers come to us from all walks of life. Most of them come to us for short term loans, or to sell items of value that they no longer use or need, based on financial need or motivation. However, many people come to us just to shop our stores for the great bargains we offer on an infinite variety of items. We want to continue to grow our reputation as the place to shop, and to be known as your neighborhood lending establishment that provides professional, courteous, and above all, “SUPERIOR CUSTOMER SERVICE”.